Located in Rivervale, Aloft Perth is in the business district, within a 10-minute drive of Ascot Racecourse and Crown Perth. This 4-star hotel is 2.5 mi (4 km) from Optus Stadium and 3.8 mi (6 km) from Swan River Foreshore Trail. Make yourself at home in one of the 224 air-conditioned rooms featuring refrigerators and LED televisions. Pay movies and iPod docking stations are provided for your entertainment, while complimentary wireless Internet access keeps you connected. Private bathrooms with showers feature rainfall showerheads and complimentary toiletries. Conveniences include phones, as well as laptop-compatible safes and desks. Enjoy recreational amenities such as an outdoor pool and a fitness center. Additional features at this hotel include complimentary wireless Internet access, tour/ticket assistance, and a ballroom. Enjoy a meal at the restaurant, or stay in and take advantage of the hotel's room service (during limited hours). Wrap up your day with a drink at the bar/lounge. Buffet breakfasts are served on weekdays from 6 AM to 10 AM and on weekends from 6:30 AM to 10 AM for a fee. 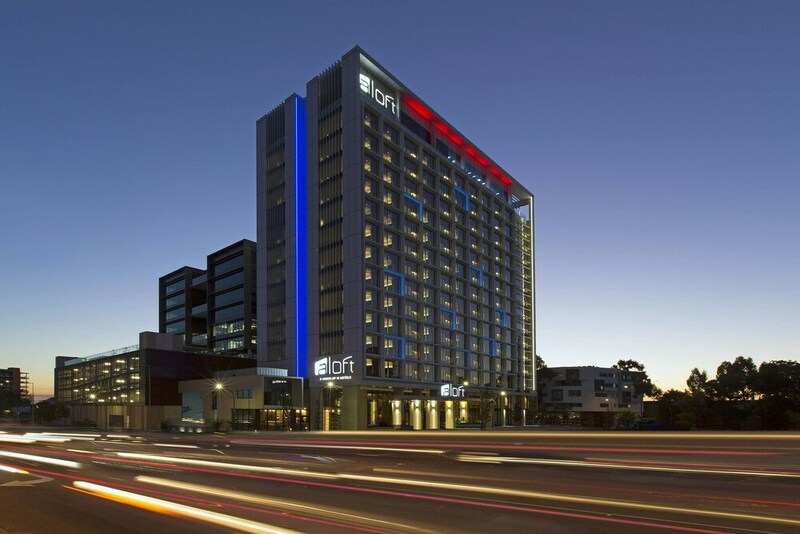 Aloft Perth features an outdoor pool and a fitness center. The hotel offers a restaurant and a snack bar/deli. A bar/lounge is on site where guests can unwind with a drink. Wireless Internet access is complimentary. This business-friendly hotel also offers a terrace, tour/ticket assistance, and complimentary newspapers in the lobby. Aloft Perth is a smoke-free property. Buffet breakfasts are available for a surcharge on weekdays between 6 AM and 10 AM and on weekends between 6:30 AM and 10 AM. Aloft Perth has a restaurant on site.